Go down the dark stairs, you can get to the mysterious space with the roof wide-open. 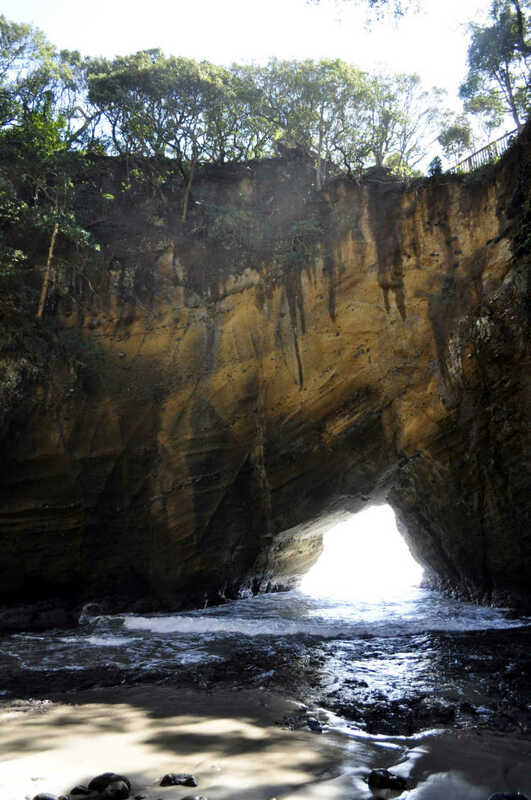 Seen from its top, it looks heart-shaped and surfs come into the cave from the rock hole. Through the hole, you can see the horizon and the beautiful scenery spreads like a picture.